Spinal decompression therapy is a non-surgical treatment used to stretch the spine. Decompression therapy deceives the paraspinal muscles (within the spine) into neither spasming or tightening during the process. Integrated Physical Medicine uses a computerized decompression table to record the body’s response to the stretching action to customize the process for each individual patient. This process provides distance between each vertebra to allow the discs to return to the desired position. This relieves the pressure on the spine and relieves the pain that the patient is experiencing. This also increases blood flow to the affected area allowing natural healing to take place. The process of spinal decompression is not painful, and typically, patients feel relief almost immediately after the first session. 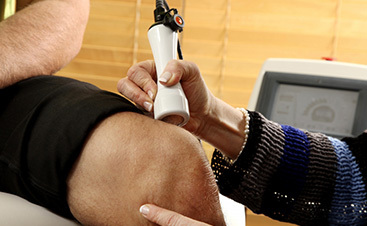 Duplicated sessions are encouraged in order to see lasting relief for long-term pain. Usually, the doctor will suggest some supplemental therapies, like home exercise, physiotherapy, cold or heat therapies, or others. This helps to strengthen the muscles surrounding the affected area in order to help prevent future damage. This will help to alleviate the need for more invasive procedures and often will mitigate the need for medications or surgery. This treatment is a much more desirable option than medication or surgery and will leave you with relief, as well as ease your mind knowing that you could circumvent surgery altogether. 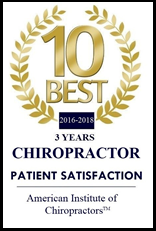 Click to schedule an appointment online or call at (812) 401-2140 today! ©2017 Integrated Physical Medicine - Do not copy. All rights reserved.